Starting out as a rhythm section (bass, drums, guitar, turntable) led by singer song-writer Robertson, Bullfrog has evolved over the years refining their sound and style. The core of the band, Mark Robertson, Peter Santiago , Max Sansalone and Eric (Kid Koala) San have been working together since ’94. Initially averaging over 100 shows a year in the Montreal-Toronto area they soon became a club favourite . Appearing at the Montreal Jazz Festival in ’96 along with an opening slot for Maceo Parker helped change the profile of the band. 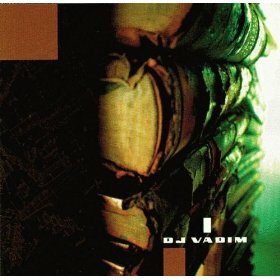 Since, they released 2 independent Ep’s, Bullfrog I & II (Toys Factory/ Outside) ,recorded on Kid Koala’s “Carpal Tunnel Syndrome” (Ninja Tune) and toured the “Meals on Wheels of Steel” World Tour 2000. 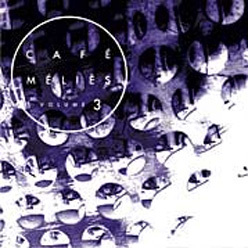 In 2001 they released their self titled debut Lp on Ropeadope records ( WEA) touring north america with the Project Logic ( Dj Logic) and again with Robert Walter’s 20th congress headlining clubs and festivals ( SXSW 2002) across North America and Europe. 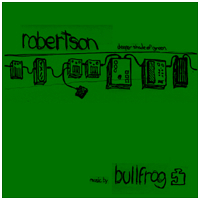 robertson’s self-produced “Deeper Shade of Green” Ep (2004 Outside) released with a cross canada Jazz Festival tour with amazing brazilian drummer/percussionist Guttierrez (Bahia) , and a 2005 european tour as bass player for MoneyMark . re-appearing at Montreal Jazz festival 2008 as Robertson and fka Bullfrog releasing the “FavoritePeople” Lp, the album was then re-released in europe on (Soulbeats/Discographe) in 2009 after an appearance on french and german national television show ” One Shot Not” ARTE TV where Bullfrog singer/guitarist Robertson was backed by renowned french drummer Manu Katche and the greatest bass player on earth Marcus Miller. Then a few european tours followed . 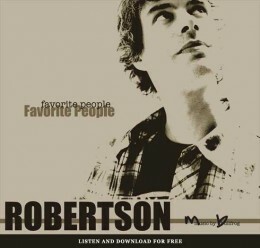 Robertson and Santiago have since been writing in the studio teamed up with producer Carl Bastien. Receiving a grant from C.A.L.Q in 2012 has help get the band back into the studio the record the now ready Lp ” Robertson and the formerly known bullfrog ” out this September ! Thanks for all the support … music is the best !